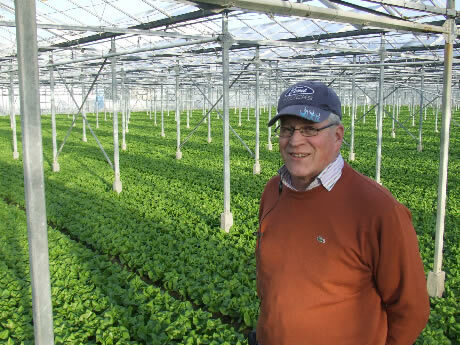 "Scandinavia and the Middle East in the market for Dutch greenhouse lettuce"
Dutch greenhouse lettuce is fetching good prices at the moment. "Butterhead lettuce is selling for about EUR0,50. Jumbo lettuce is going for around EUR0,90 to EUR1,10. There is not a lot of supply and prices are fairly stable", says Henk van Doorne of Van Doorne Imex. This company is based in the Dutch town of 's-Gravenzande. It is active in the cultivation and trade of lettuce and root vegetables. It is, according to the trader, difficult to get a feel for the market. "One week it is bustling, the next it is very quiet. Demand has been on the rise again since Friday. There is not a large supply. I am also at the low end." "In particular, Scandinavia and the Middle East are well in the market", he says. He is also pleased with the price level. "It is, however, not an easy cultivation. Heating costs run high, so we must bring some money in."